Dr. Jayendra B. Patel, Ph.D.
Dr. Franky D. Shah, Ph.D. The Department is involved in basic and applied research in cancer biology and caters advanced diagnostic services for cancer patients. The department is affiliated to B.J. 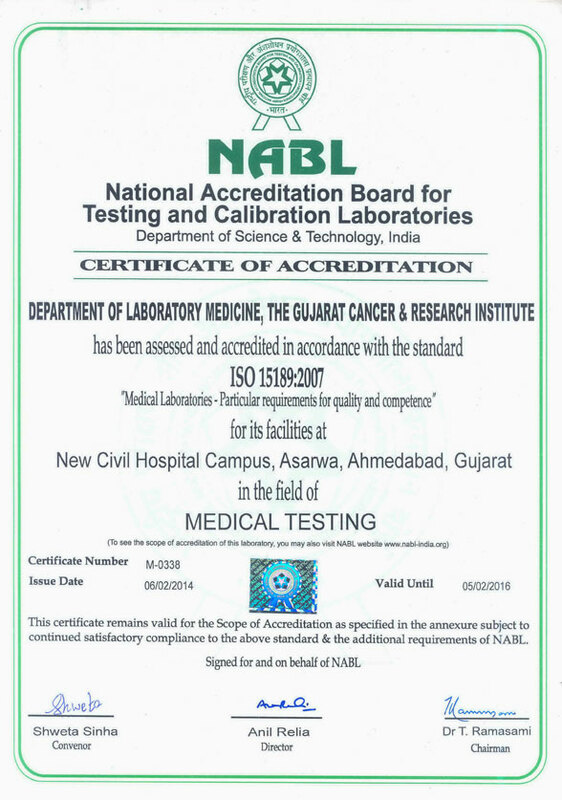 Medical College and recognized by Gujarat University to runs MSc (Cancer Biology) & PhD(Life Sciences) degrees. It is also recognized by M.S. University for PhD(Biochemistry) degree.